Egypt’s El Nouzha Airport (Alexandria International) has implemented a range of Rockwell Collins’ ARINC Airports solutions as a part of its plan to overhaul passenger processing and airport operations systems. In addition, the airport is improving passenger experience with the implementation of CUPPS, and a smart baggage handling solution to improve reconciliation. ARINC AirDB – Airport database solution to maximise efficiency from curbside to runway. ARINC vMUSE – Common Use Passenger Processing System (CUPPS). ARINC AirVUE – Advanced flight information displays. 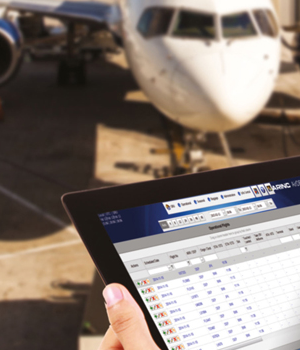 ARINC AirPlan – Optimising airport operations and resources. The airport, which has been closed since December 2011, is continuing to implement key systems to reduce congestion and improve flight operations, in addition to extensive renovation in preparation for the re-launch, expected to take place during June this year.